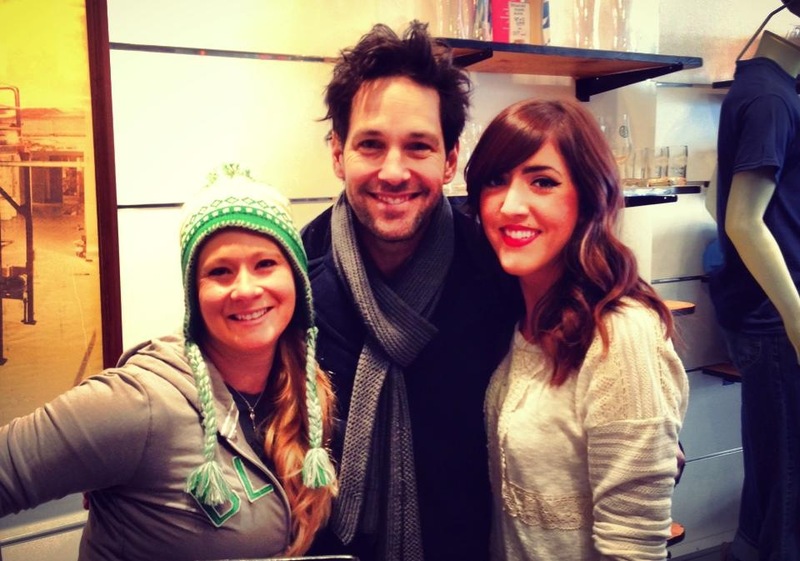 Paul Rudd. Sandwiched between me and Alyssa. At work. I’m not kidding. That was awesome. I should save that photo for a Sandwich Saturday. 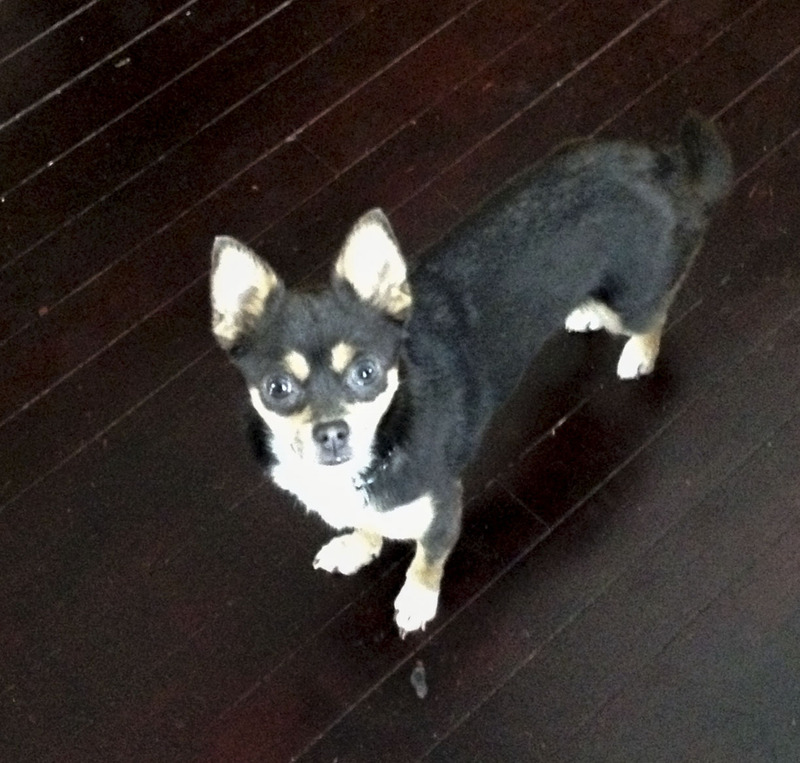 Other awesome things that have been happening around here: This cute furry thing was introduced to our home. We have been babysitting her, testing the waters, to see how she gets along with The Little Monster and my allergies. Things are going remarkably well. She is ridiculously sweet. And smart. And cuddly. She is passing all tests. Santa brought both girls gifts and neither gave two shits about any of the “special” gifts after they opened their antlers. And then they fought over one antler. Despite having two identical antlers to choose from. Totally frustrating and made me wonder: How do people with human children survive the holidays?!?! In other Christmas related news, Brad Pitt and I unintentionally had a holiday themed burrito dinner this week. 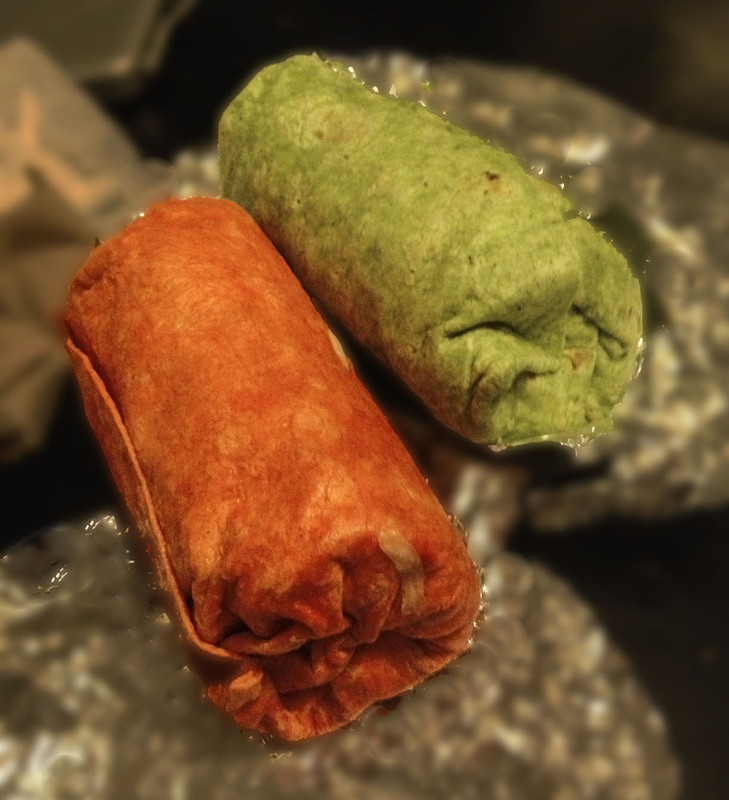 Thanks to Freebirds variety of tortilla offerings, we ended up with one chipotle flavor and one spinach flavor and BOOM! It was like Christmas on the table: I was pretty impressed at how Christmasy our dinner turned out, without even planning it that way. The one thing I did plan was my Christmas morning breakfast. 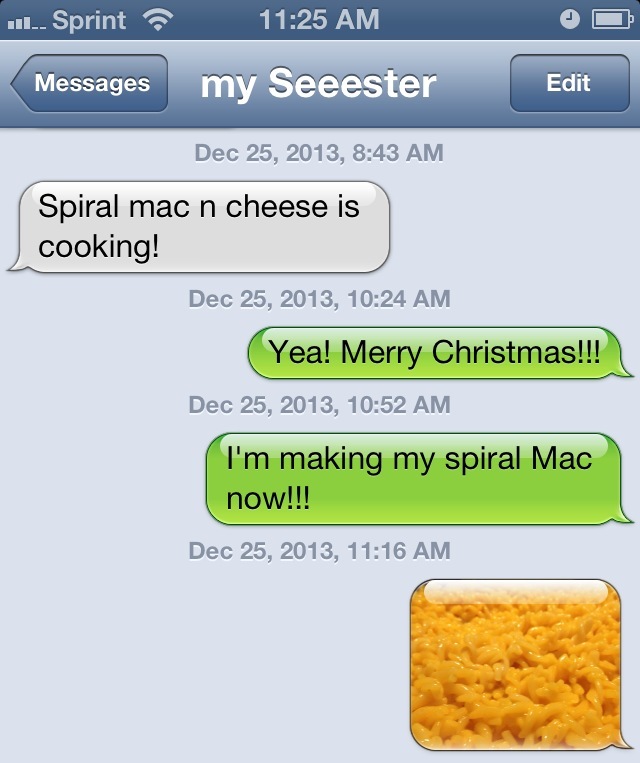 Every single year since we were children, my Seeester and I have eaten Kraft Spiral Macaroni & Cheese for breakfast. Even now, as adults, living in our own homes, we still make spiral mac & cheese on Christmas morning. And share it with each other: Christmas would not be the same without this breakfast. I’m not kidding. I don’t care what we eat for dinner, I have to eat spiral mac & cheese for breakfast on Christmas. Its crucial. I would probably freak out if I didn’t have any on Christmas morning. Even Brad Pitt agreed to take one bite to partake in the tradition. Alright now that I have attempted to make up for my recent absence by composing this sloppy, yet festive, post for you all, I am off to celebrate for the day. This entry was posted in Home Sweet Home and tagged Christmas, Dogs, food, Holidays, humor, Kraft, Macaroni & Cheese, Paul Rudd, Tradition, Work. Bookmark the permalink. 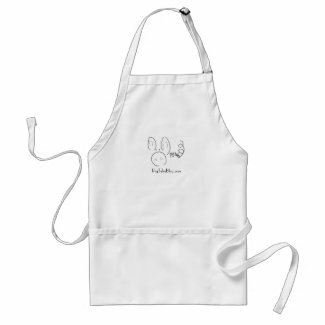 Some moms make their children homemade cinnamon rolls or French toast or breakfast casseroles on Christmas morning. 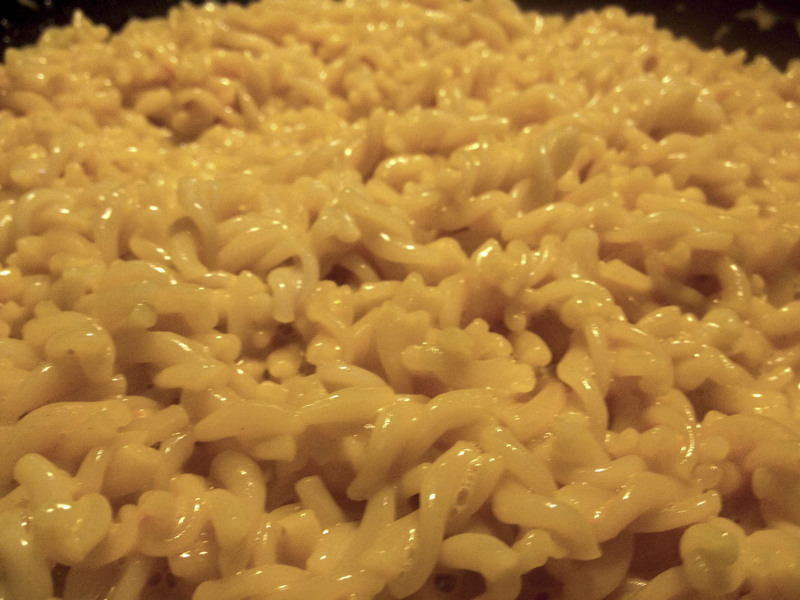 I always let my girls make their own Kraft Mac n Cheese. Sigh. As I look back, I guess that wasn’t being a very good mom, was it? I’m sorry. Um are you kidding? I’d much rather have Mac and Cheese. Best mom ever.